It’s still early in the Term for finished artwork although there is a lot of great work underway. In the interim I thought I’d add a photograph which I took at Echuca in Northern Victoria last year. 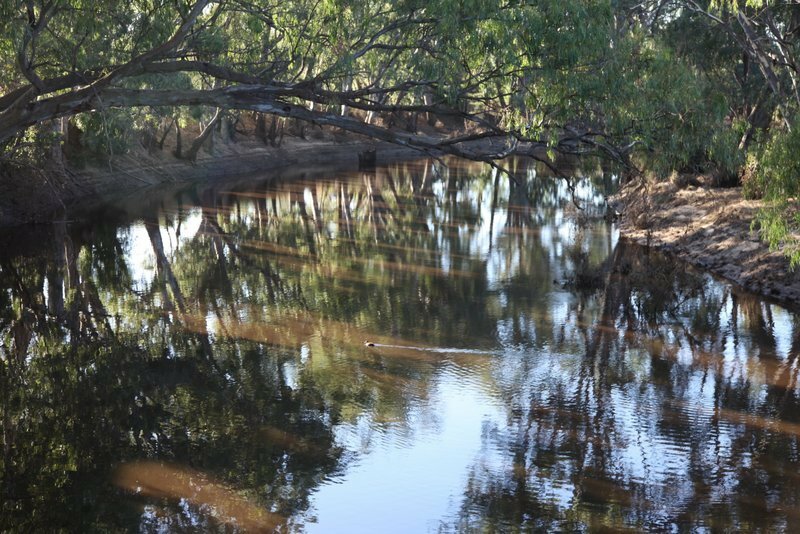 The Campaspe River (pictured) meets the Murray River at Echuca and it was looking refreshed after floods which were almost welcome after years of drought. This scene is typical of the peaceful scenes along both rivers. I am spending this weekend in Echuca/Moama with my Rotary Club so I will try to take some more photographs to post next week. This Term our Grade 5 and 6 students have begun a unit on Drawing. They are looking at the work of Australian author illustrator Shaun Tan. The above drawing was made during our recent Summer holidays by one of our current Grade 6 students, Anastasia. 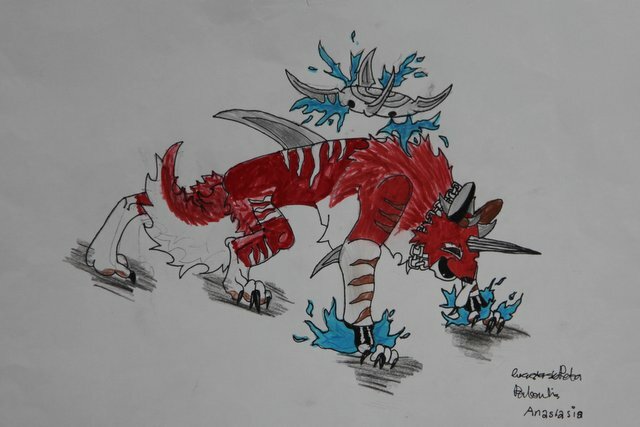 It is an original character and I think she has portrayed its fierce nature. Congratulations Anastasia. I look forward to hearing whether there’s a story that goes with it and finding out whether he/she has friends.